Some of us have short memories and some of us have long memories. This writer in particular will not ignore two noteworthy events that occurred in the last six months. Both of these events involved ISIS executing its hapless captives. Both of these events present two very different kinds of responses–as different as day and night. President Obama took to the podium and said some appropriate remarks for the tragic death of the American journalist Tom Foley. What happened next proved to be more important than anything the President said at the podium. In short, if a picture could tell a thousand words, the images that ensued within four minutes after the President’s speech could fill ten thousand volumes. Within four minutes after leaving the podium, Obama teed-off and could be seen laughing with friends and fist-bumping them during a five-hour round at Farm Neck Golf Course on Martha’s Vineyard – his seventh 18-holes in ten days. I cannot recall a president in recent memory who was so oblivious to the pain and shock that the entire nation felt, yet the game of golf had to go on! I can only imagine the European heads of states shaking their heads in disbelief. Putin and ISIS were probably laughing derisively at our President, who forgot about the “optics” of how he looked on camera. Yes, Mr. Obama, we know why you detest the press. After discovering how his popularity plummeted in the next several days, President Obama reluctantly admitted, “after the statement that I made, that you know, I should’ve anticipated the optics,” he said. The second reaction was that of King Abdullah II of Jordan to news that the Jordanian pilot Lt. Moath al-Kasasbeh, 27, had been burned alive while confined in a cage. Jordan’s King Abdullah, himself a former general, angrily vowed to pursue ISIS until his military runs “out of fuel and bullets,” in a closed door meeting with U.S. lawmakers that followed the release Wednesday of a grisly video showing a captured Jordanian airman being burned alive in a cage by the terrorist army. Such resolve, such courage! Who would expect little tiny Jordan to act like the mouse who roared while the most powerful leader of the free world got upset that the world did not see him at his best. 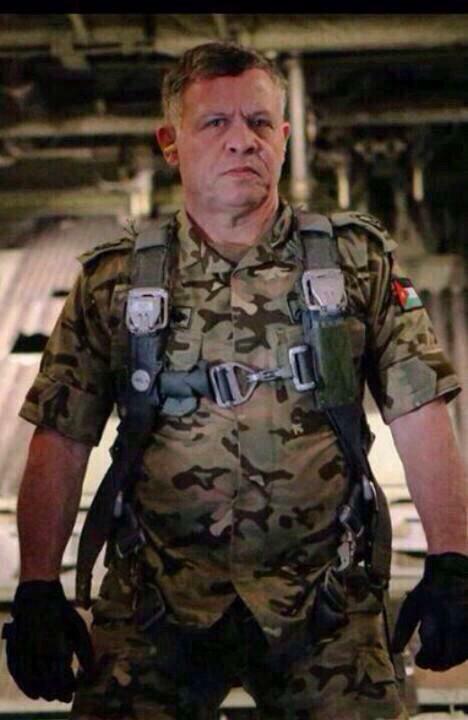 Interestingly, King Abdullah II of Jordan was in the United States when ISIS released the video on the Internet. What did he do? The King immediately cut his trip short in order to return to Jordan to comfort the family of the lost pilot. Can you—the reader—appreciate the difference between Obama’s and Abdullah’s reaction? I do not think for a minute that King Abdullah worried about the optics—his place was with the victims and with his people. Winston Churchill has never been one of Obama’s heroes. When Obama first took the White House, one of the first things he did while he was in office was to remove the bust of Winston Churchill from the Oval Office and send it back to the British Embassy. The British probably felt surprised at this sign of presidential disrespect, for one never unilaterally returns a gift from a foreign leader! When we compare President Obama to King Abdullah, it is not hard to see who is cast in the image of Winston Churchill. Let us pray that someday this country will finally get the kind of leadership who will personify our pride in being Americans.